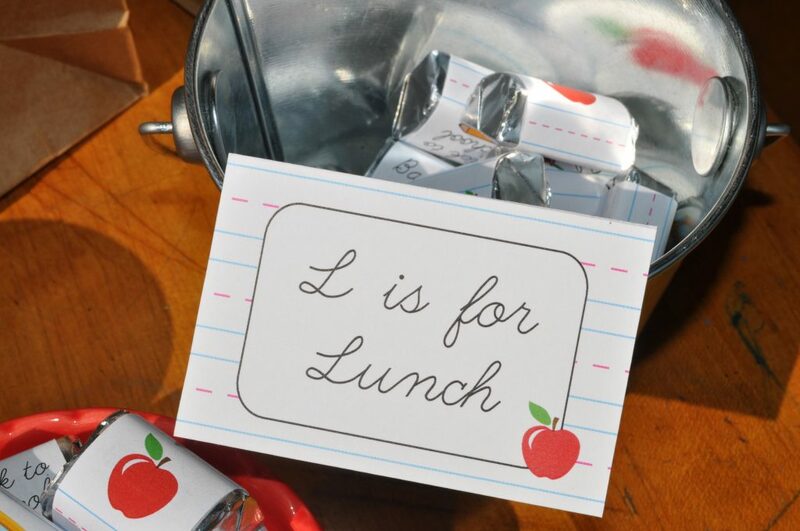 Back to School is always bittersweet. 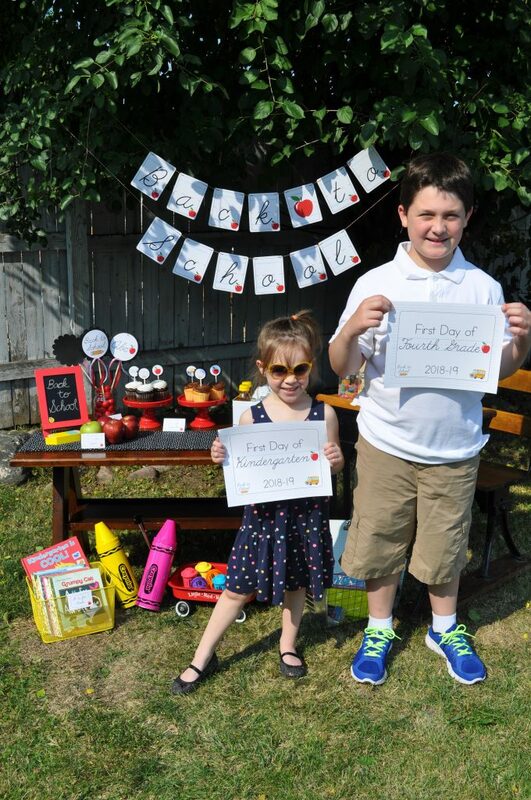 Summer goes by so fast and although you enjoy spending the days with the kiddos, it’s nice to be back on a routine. 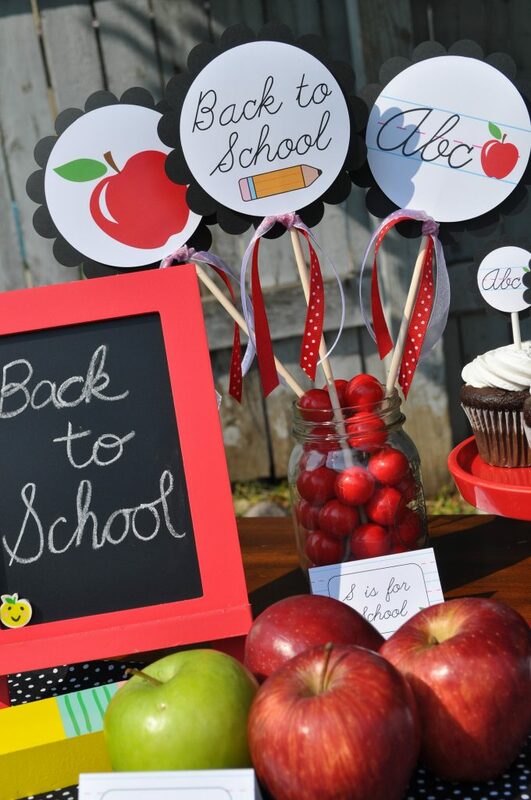 What a better way to celebrate the end of Summer with a Back to School party! 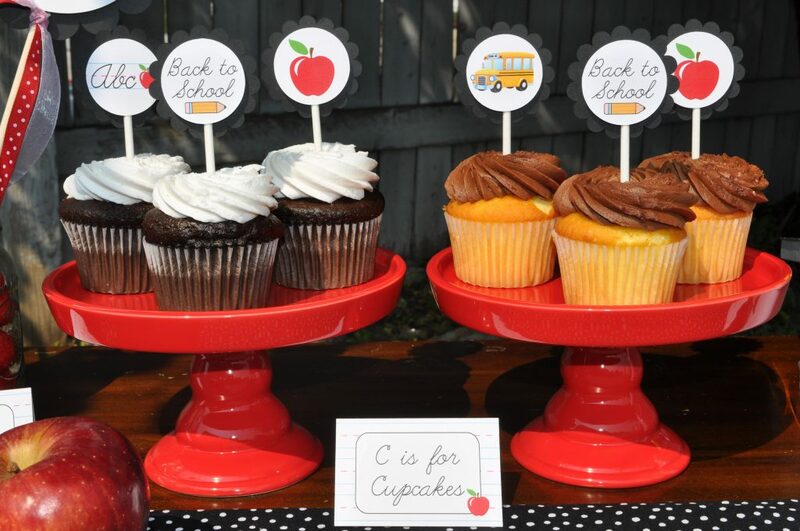 Also a great way to get the classmates together before school starts. 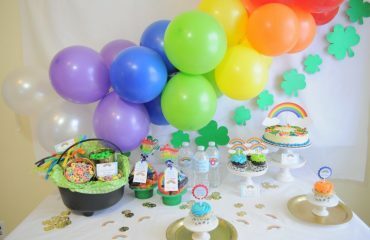 We always have good intentions of having lots of playdates over the summer, but it just gets so busy with birthday parties and vacations it just never seems to happen. The best part is this setup is super easy! 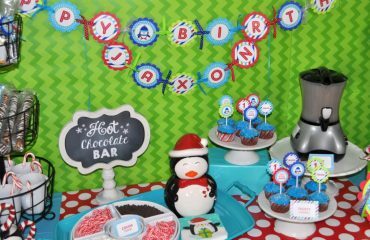 You can purchase the decorations from So Sweet Party Shop, so no need to stress cutting and assembling everything! I used a vintage desk that I purchased at Goodwill for $10.00 (SCORE!) and the kids’ art table. 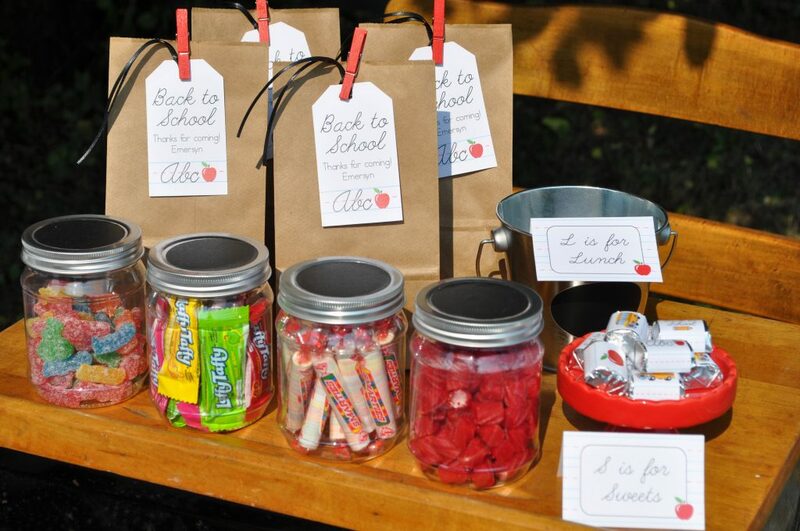 The little jars of candy are plastic with a cute chalkboard top so you could also write the candy names on the top. I like to theme my candy to the event, so I choose sour patch kids, smarties, classic red licorice and Laffy Taffy. 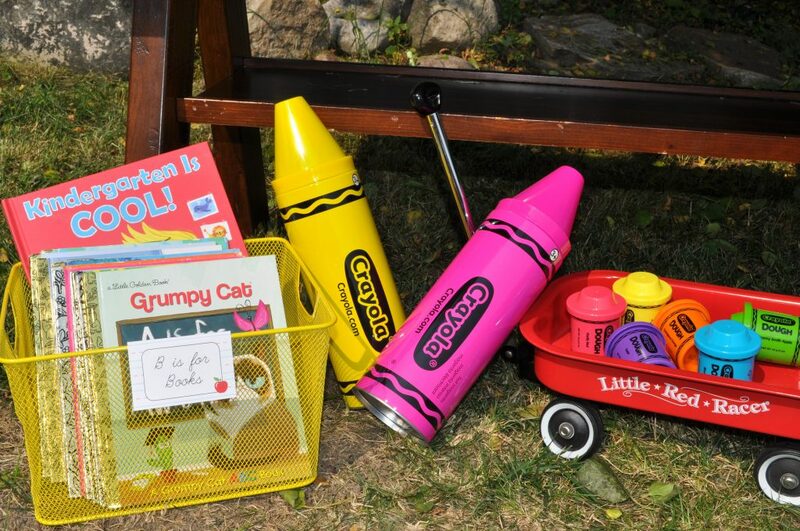 The large crayons are banks (so cute! 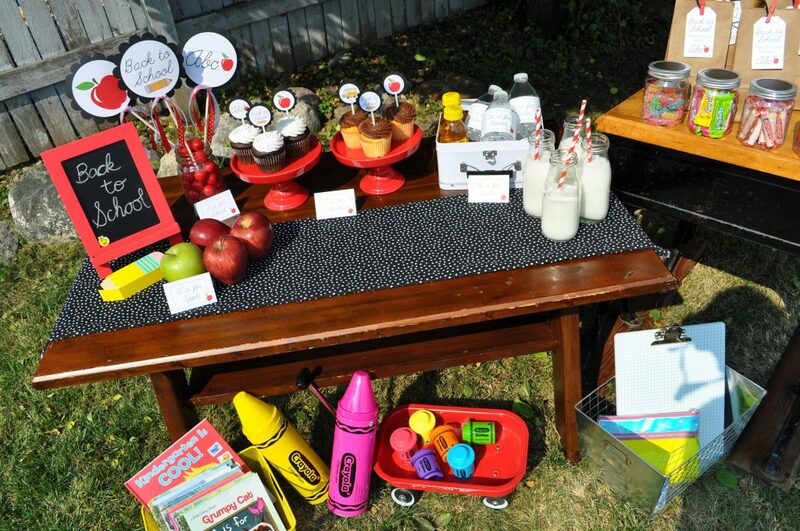 ), the little chalkboard, baskets and even the red cake stands are all from Target in the dollar spot! 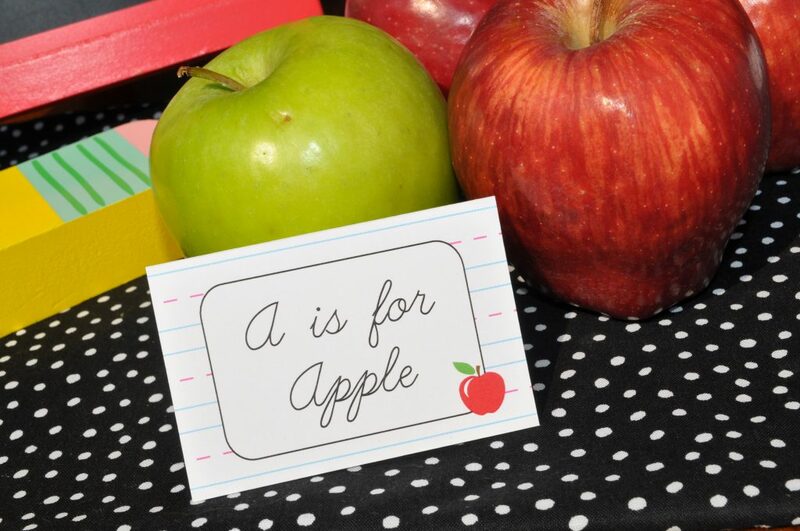 They have so many cute items for the classroom. The small crayon containers are actually modeling dough and are perfect take alongs as favors. 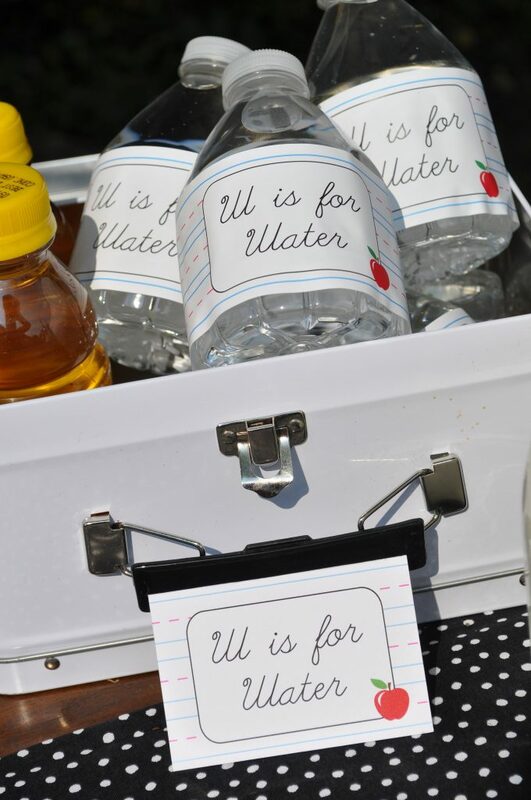 The little bottles of water are the perfect kid size and so cute with our moisture resistant water bottle labels. 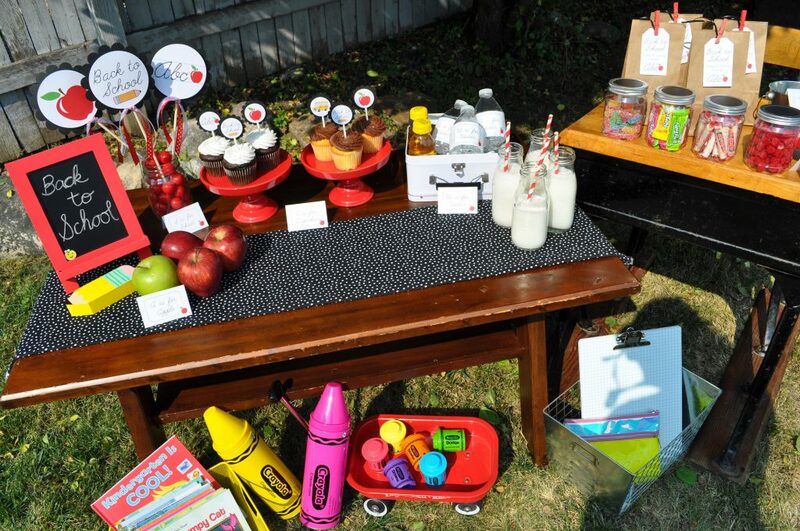 The cute glass milk bottles with straws are a perfect finish to the cupcakes with those adorable cupcake toppers. 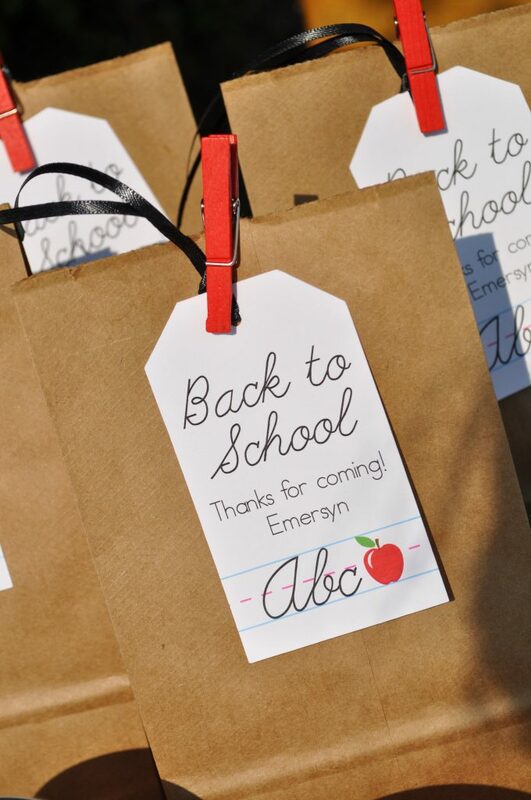 The favor bags are like little lunch sacks with the cutest, personalized favor tags. I clipped them on with red mini clothespins I found at Michaels. 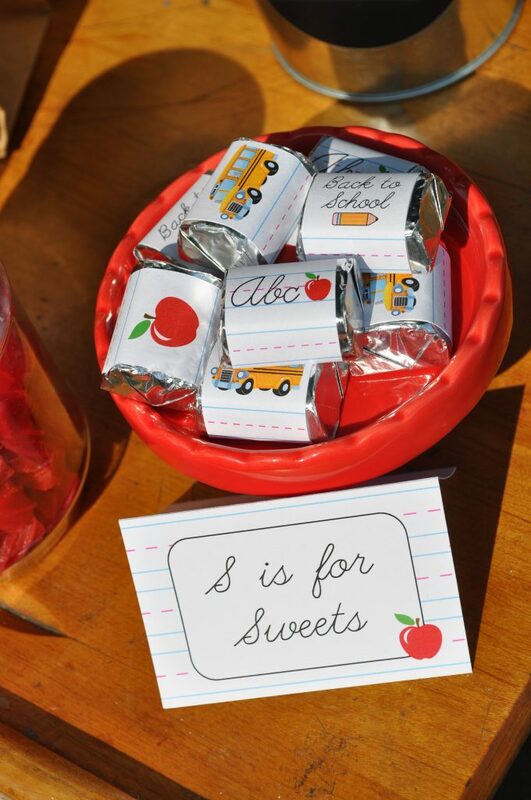 Label everything with the tent cards, personalized to suit the foods and candy you are serving. The little candy wrappers are available as a FREE download to print and label your chocolate Hershey nuggets. 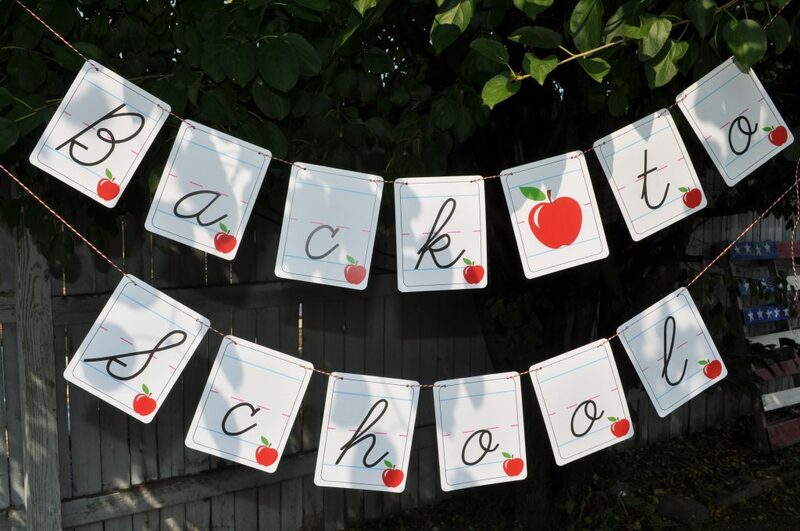 The back to school signs are also available as a FREE download, which is great for photos against the beautiful back to school banner backdrop.